España 5 is one of the rooms of the Atrio III, measuring 226 square metres and with a height of 3 metres. 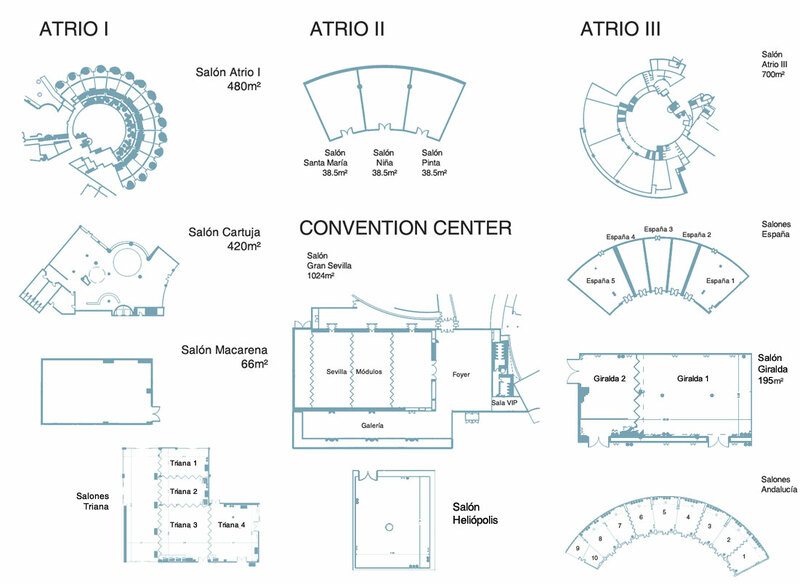 Its capacity is variable depending on the layout of the tables, from 45 personas with the imperial layout up to 130 persons with the theatre layout. Owing to its location and its dimensions it permits the exhibition of vehicles.